Home call glo Glo Has Repackaged Double Free Tomorrow and 11k/s for All, and IDD Packs. Glo Has Repackaged Double Free Tomorrow and 11k/s for All, and IDD Packs. Not long after introducing the Glo Borrow Me Data, Glo has just repackaged three of their products which are Double Free Tomorrow, 11k/s for All, and IDD Packs. Glo is really trying all it takes to win as much customers as possible and they aren't doing bad at all. Double Free Tomorrow: With this package, Glo will credit their subscribers with 200% the value of airtime used on calls, text Message and data in a day which can be used the next day. 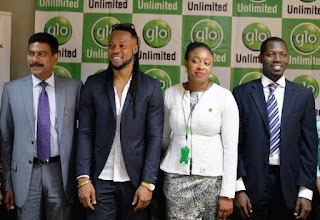 What this means is that if the total data used, calls made and sms sent is valued at N1,000, Glo will give the subscriber a total credit of N2,000 free the next day. To enjoy this offer, all you need to do is to dial *300#. Gbam Plus 11k per second: This package let's you make local calls and international calls to up 30 destinations at a flat rate of 11k/s. To migrate to this package, just dial *211# at an access fee of just N5 per day. New IDD Packs: The IDD Packs let's you make calls from Nigeria to 30 international destinations at N6.60 per minute. The IDD 100 gives the subscriber 12 minutes of call valid for 3 days, while IDD 200 gives 24 call minutes for 7 days. The IDD 500 bundle gives 60 minutes of call for 14 days, while the fourth bundle, IDD 1000, will give the user 150 call minutes valid for 30 days. So guys there you have it, what do have to say about this packages from Glo. Let me know in the comment box below.